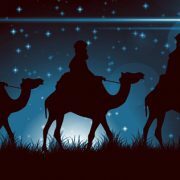 The story of the Magi is loved by many, but did you know that there's more to the story than the Gospel of Matthew tells? Adam Ericksen explores an ancient document about the Magi in his latest article. Adam Ericksen claims that Advent is a season of holy protest. It looks at the world and names what isn’t right. It’s often the case that the first step towards hope is in naming the things that aren’t right. It’s December 26th – Let the Real War on Christmas Begin! Dr. Tracy McKenzie reflects on the holiday classic "It's A Wonderful Life" as it illuminates sound historical thinking by illustrating the "interrelatedness of human experience."